One workstation performing all functions. Less than 7 workstations and servers in the network. 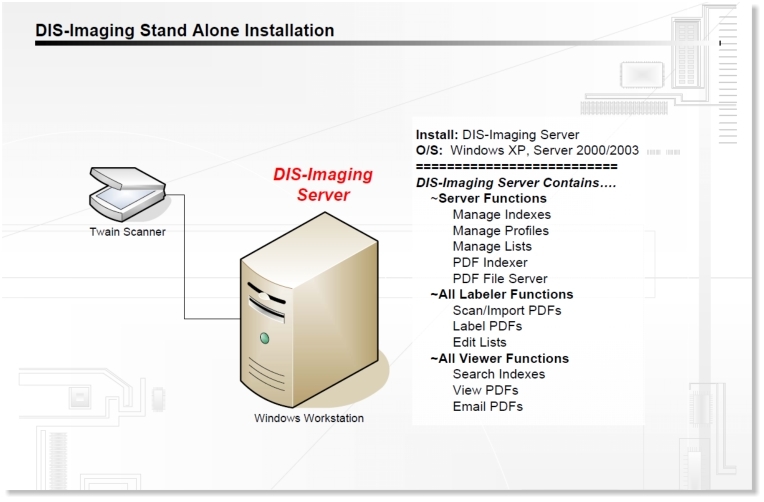 Workstation operating systems (Microsoft Windows XP) allow limited connections to a shared folder or drive. 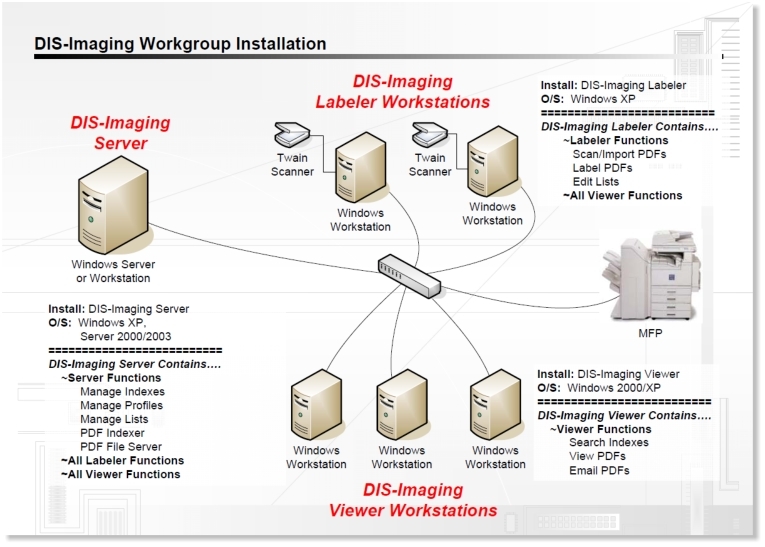 Therefore, only those networks with fewer than 7 workstations and servers could use a workstation operating system for their DIS-Imaging Server. 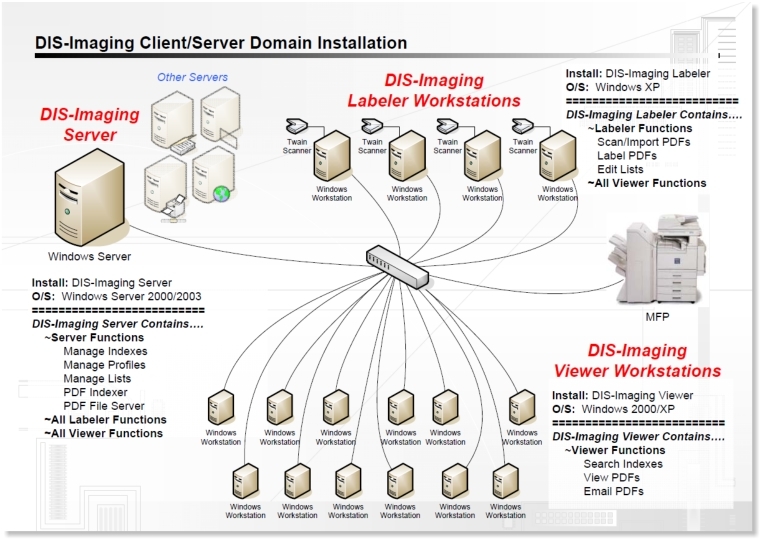 More than 7 workstations and servers in the network. In this case, a server operating system (Microsoft Windows 2000/2003 Server) must be used.